Indian Railways offers the option of canceling train tickets to its passengers. According to the prevailing railway rules, refunds are issued (or not) depending on individual cases and circumstances. Here's all you need to know about canceling Indian Railways tickets online. Firstly, log on to the IRCTC website. Then under the 'Trains' section, click on 'Cancel ticket' option, then select the 'Counter Ticket' button. Next, enter the PNR number, train number and the Captcha code, then click on 'Submit' button. Following this, you'll receive an OTP on the mobile number provided by you at the time of booking. Finally, enter the OTP and submit. Your total due refund amount will be displayed on the screen. Correspondingly, an SMS notifying your PNR and refund details will be sent to your registered mobile number. The online cancellation works only if the passenger has provided a valid mobile number at the time of booking. The online cancellation is allowed up to 4 hours prior to the scheduled departure of the train, if the ticket is fully confirmed, and up to 30 minutes before the scheduled departure, in case the ticket is waitlisted or RAC. 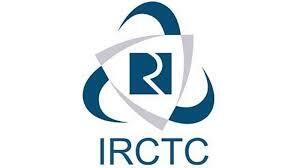 Firstly log in to your account on the IRCTC website. Next, click on 'Booked Tickets' link, then select the concerned ticket to be canceled. The refund amount would be credited back to the account used at the time of booking. In case there's partial cancellation of e-ticket, you'll have to confirm whether a fresh e-reservation slip is to be printed separately. When a passenger cancels a confirmed train ticket more than 48 hours prior to the scheduled departure of the train, flat cancellation charges for different train classes are levied. The charges for AC first class/executive is Rs. 240; Rs. 200 for AC 2-tier, Rs. 180 for AC 3-tier/AC Chair Car, Rs. 120 for Sleeper class, and Rs. 60 for Second class. In case a confirmed ticket is canceled within 48 hours but at least 12 hours before the scheduled departure of the train, a cancellation charge of 25% of the fare is levied. Furthermore, for tickets canceled at the boarding station, within 4 hours prior to the scheduled train departure, cancellation charge is 50% of the base fare amount. Partially confirmed tickets can be canceled upto half-an-hour prior to the scheduled train departure, from ticket counters. That apart, refund on cancellation of unused RAC/WL tickets is granted upto 30 minutes before the scheduled departure of the train, subject to deduction of certain charges. Furthermore, in case of cancellation of trains, automatic refund is granted (if booked online). No TDR filing is required.